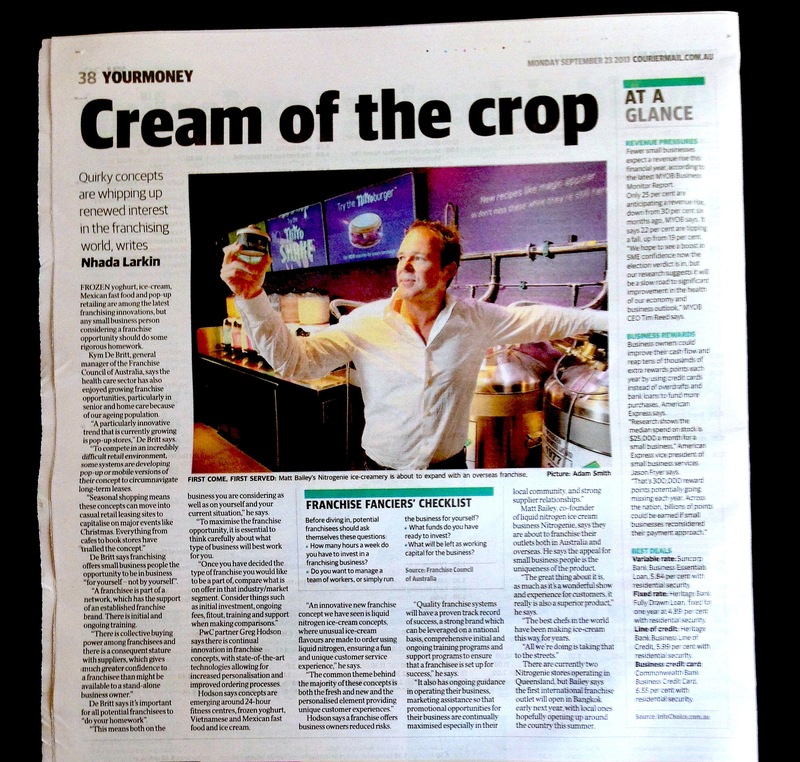 The Courier-Mail in Brisbane promised the hot scoop on franchising in its Your Business section. Price Waterhouse Coopers partner Greg Hodson says innovate concepts like liquid nitrogen ice cream are where it’s at. Case in point? Nitrogenie. As he says, it’s fresh and new and there’s a personalised element providing unique customer experiences. Too right. That’s what we do.